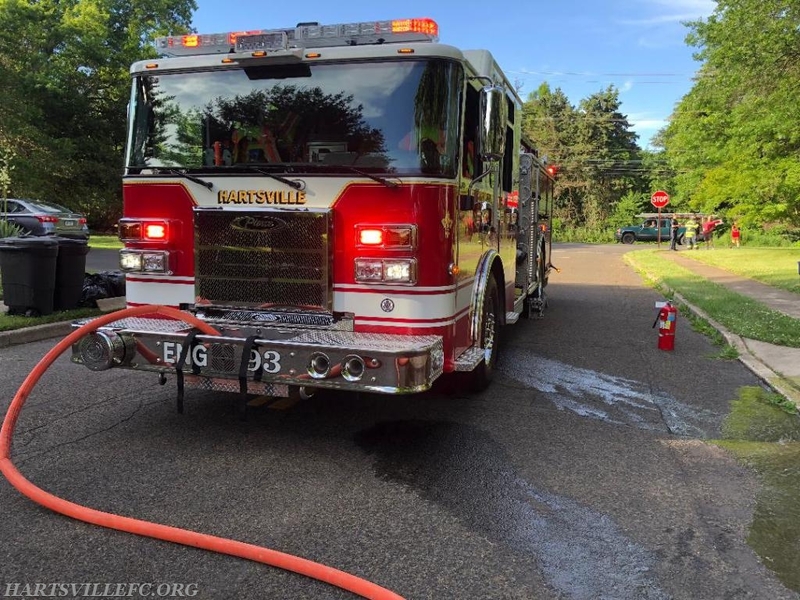 On June 25, 2018 Hartsville Fire Company was dispatched to the 1300 Block of Manor Dr by Bucks County fire dispatch for a reported grill fire. Engine 93 (Chief Gottschall) responded with a crew of four. 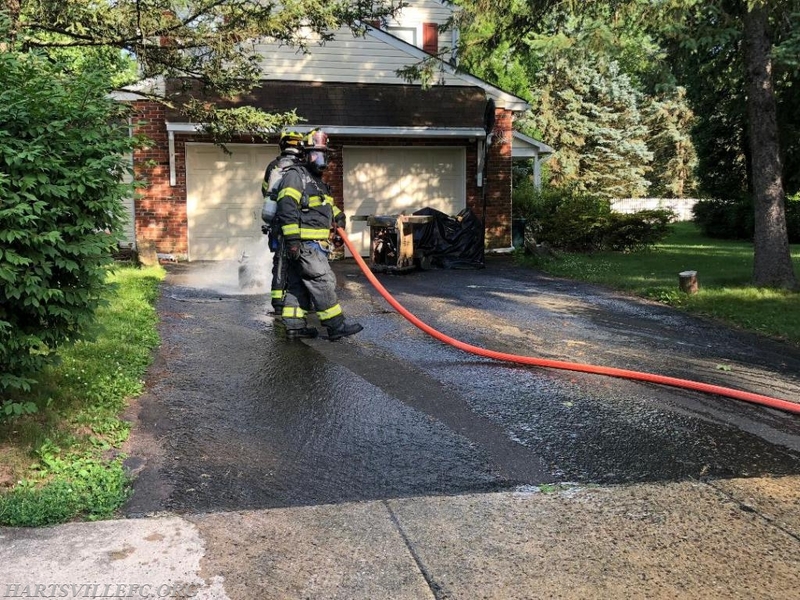 While enroute, the engine was informed that police were on scene with a grill on fire approximately 8' from the residence. Engine 93 arrived on scene, and pulled a 1 3/4" bumper line to cool down the propane tank and knock down the fire. No further damage was done to the residence.